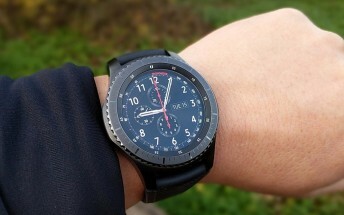 We've known for quite a while that T-Mobile would eventually start selling the Samsung Gear S3 frontier, and today the magenta carrier has thankfully given us some more details on the matter. T-Mobile will commence sales of the Gear S3 frontier on November 18, which is the watch's official release date for the US. If you want to pick up this LTE-enabled smartwatch from T-Mobile, you'll need to shell out $399 full retail, which interestingly is $50 more than what AT&T is asking (and also what should be the frontier's recommended price). You can add the wearable to your existing smartphone plan at T-Mobile and you'll pay just an additional $5 per month for that. The "un-carrier" hasn't started taking pre-orders for the Gear S3 yet, even if AT&T has taken that step around ten days ago. It's unclear if there will be any pre-orders for the watch at T-Mobile before its launch, but since that's in just three days anyway it probably doesn't matter.